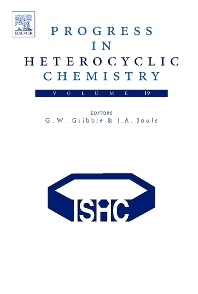 This is the 19th annual volume of Progress in Heterocyclic Chemistry, which covers the literature published during 2006. As with previous volumes in the series, Volume 19 will enable the reader to keep abreast of developments in heterocyclic chemistry in an effortless way. Gordon Gribble is the Dartmouth Professor of Chemistry at Dartmouth College, Hanover, USA. His research program covers several areas of organic chemistry, most of which involve synthesis, including novel indole chemistry, triterpenoid synthesis, DNA intercalation, and new synthetic methodology. Prof Gribble also has a deep interest in naturally occurring organohalogen compounds, and in the chemistry of wine and wine making.